Canadian customers, please visit PizzaKit.ca. Please select the Distribution Center nearest you to view an interactive Google Map that will provide personalized directions. Advance notice required, please call us for details! Same day pick up available for small orders if you arrive before 4:30pm! *Pick up orders do not count toward the minimum order required for delivery to a group/organization. 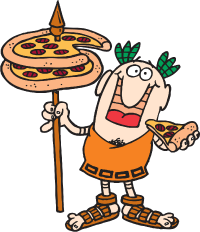 Looking for a Little Caesars® Store? To find your nearest Little Caesars® Store for a delicious HOT-N-READY® Pizza and other great menu items, click here! Distribution Centers are not owned or operated by Little Caesars Pizza Kit Fundraising Program. Distribution Centers do not perform customer service activities on behalf of Little Caesars Pizza Kit Fundraisng Program, including but not limited to marketing activities, such as advertising and/or generating or processing sales on behalf of Little Caesars Pizza Kit Fundraising Program. If you need to place an order, please contact Little Caesars Pizza Kit Fundraising Program directly at the phone number or email address listed above.